Founded at Worthing, West Sussex in 1966, Bowers & Wilkins continues in its quest to build the perfect loudspeaker. 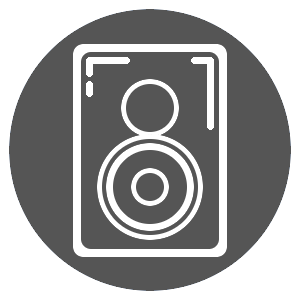 Though B&W has offered a wide array of audio electronics in its 50-plus years, its focus today is squarely on speakers of all shapes and sizes, especially loudspeakers. The B&W Nautilus -- an exquisite marriage of sound and design -- is the result of five years of painstaking research. B&W speakers don't end there, however. Its 600, 700 and 800 Diamond Series also offer outstanding sound reproduction. These, as well as other B&W electronics of the more vintage variety, can be found often for sale.